FIRST RELEASE TICKETS SOLD OUT!! Adults $90 Ticket: $5 off per ticket on purchase of 10 or more tickets. Melbourne’s most loved event is back and it’s happening at one of the most spectacular destinations! Bringing the taste of authentic Indian street food to Melbourne! PRINT YOUR TICKET and bring it along with a valid Photo I.D (Drivers Licence/ Passport only). Group Tickets. If you have purchased group tickets or a table, please try and coordinate your arrival timings. If arriving at different times, let the Organisers know in advance to avoid confusion and delays. One Time Use Only. Every ticket has its own unique barcode and entry may be denied if your ticket has already been scanned once on entrance. Tickets are non-refundable. Organisers will only offer a refund or exchange of a ticket if an event is cancelled, rescheduled or significantly relocated by the Organiser (and you cannot or do not wish to attend the rescheduled or relocated event). You must apply for a refund within a reasonable time. 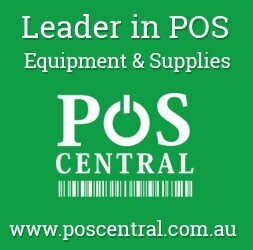 Organisers do not offer refunds or exchanges as a result of a change in your personal circumstances. Management reserves the right to entry. A person may be denied entry into, or removed from the event, where the Organisers have reasonable grounds to do so, including if you breach these Terms and Conditions or you are intoxicated, under the influence of illicit drugs, inappropriately attired or adversely affecting the enjoyment of the event by others. No Allocated Seats for Kids under 5. Kids under 5 enter FREE of charge; however, will not have any allocated seats. 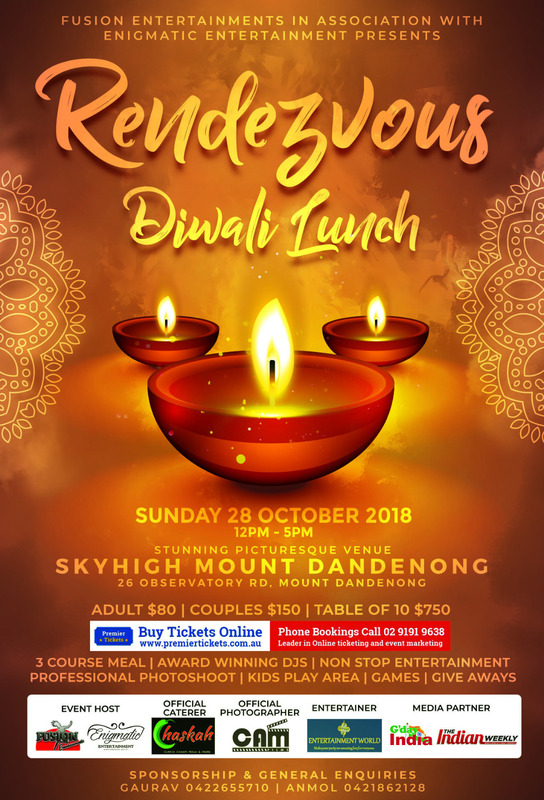 Premier Tickets Australia is proud to be the online ticketing partner for RENDEZVOUS Diwali Luncheon at SKYHIGH Mount Dandenong on Sunday October 28, 2018 from 12:00 to 5:00 PM.